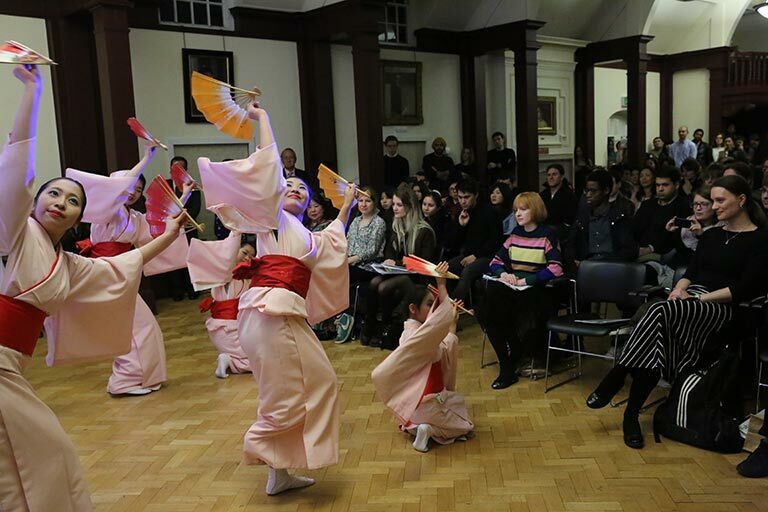 In conjunction with Oxford University’s Japan Society (OUJS), Yoshitake and Associates and the Sake Samurai Organisation hosted students and residents of Oxford for an evening of dance, music and commemoration, on 10th March, 2016. Although it is now five years since the saddening events of 2011, the memory of the earthquake and ensuing tsunami remains freshly imprinted in the national psyche. The intention of the evening however was as much about celebration as it was about commemoration – a celebration of the citizens’ strength of spirit and the region’s courageous strides towards recovery. After an opening speech from Mr Yoshio Mitsuyama, Chairman of the World Fukushima Prefectural Association, the audience smiled through tears of mirth and sorrow as they listened to social media guru Hitomi Kumasaka speak about the perceptions and misperceptions still surrounding the region, accompanied by self-directed video footage. In demonstration of their gratitude for the support received in the aftermath of the disaster and to showcase the beauty of the region’s well preserved traditions, a Fukushima dance troupe performed a moving dance showcase accompanied by traditional music, robed in dazzling traditional costume. 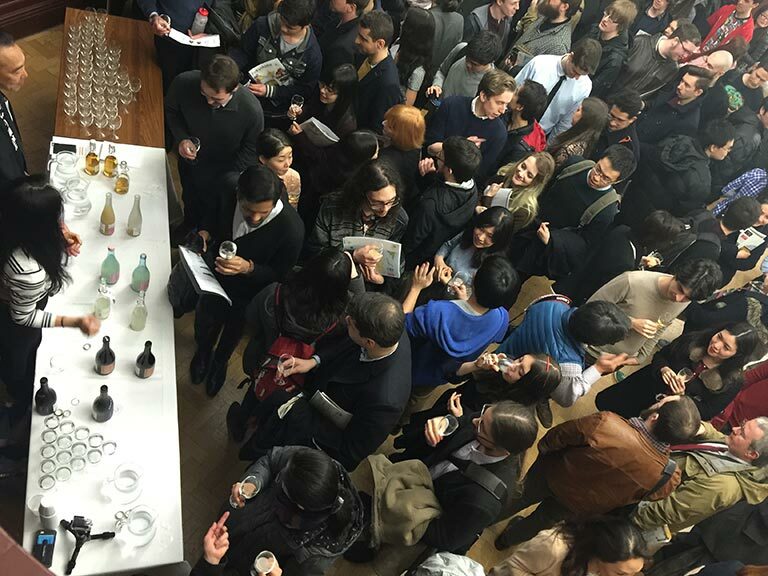 Following the longstanding tradition of serving sake at occasions of joy and commemoration, sake also flowed merrily on this memorable evening. 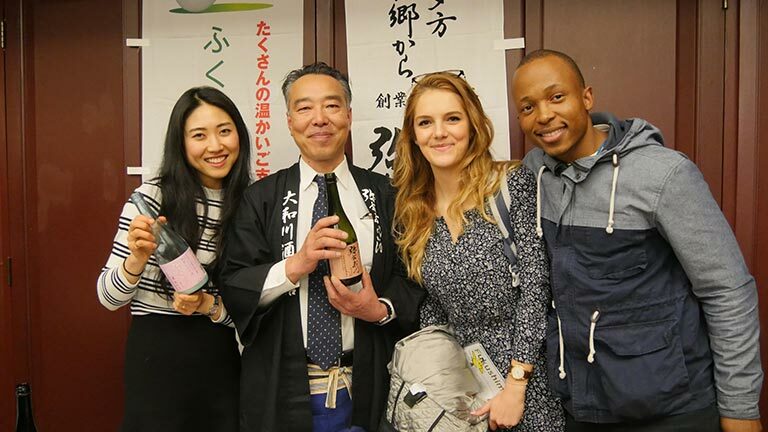 An impressive variety of rice wine was on offer, from still to sparkling, cloudy to clear, aged to fresh…attendees were able to taste for themselves the meaning of “Fukushima, Sake Wonderland”. 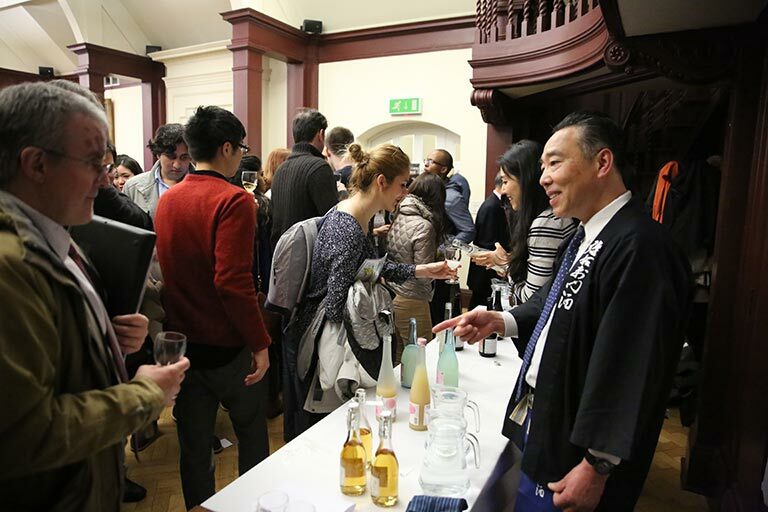 The six styles of sake served on the evening were generously sponsored by Kazunori Sato, brew master at Yamatogawa Sake Brewery of Fukushima. 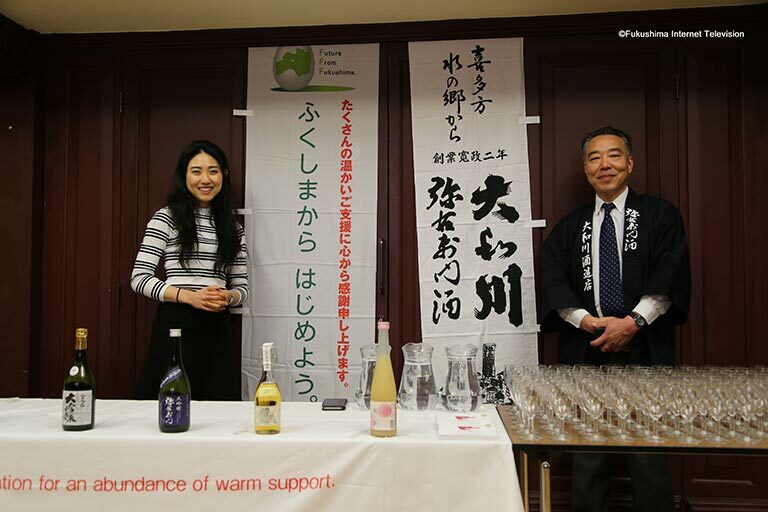 Particularly popular was the sweet and soft peach sake liquor, christened “Tears of the Peach” after the many tears shed in Fukushima. The drink takes on an attractive aroma and rose hue from peach juice, made with fresh fruits sourced from within Fukushima prefecture. The evening was as much about the act of remembrance as about looking forward to the future. 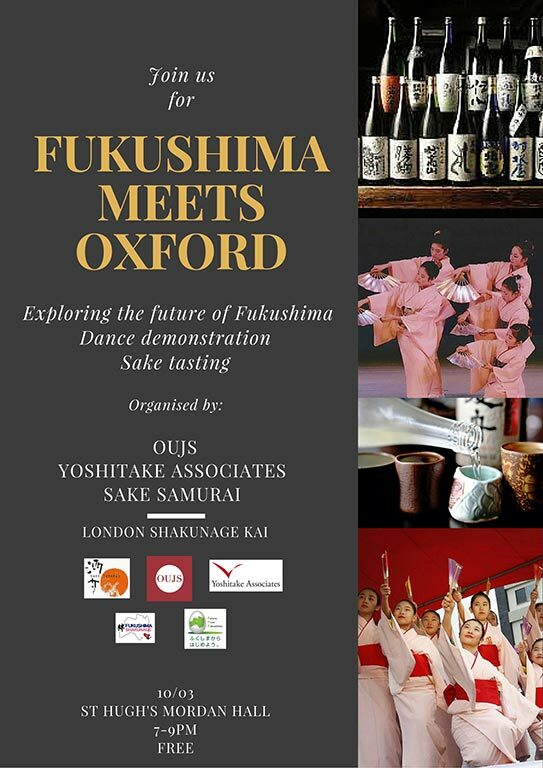 The Sake Samurai Association were privileged to bring together the Fukushima delegation and students and residents of Oxford in mutual celebration of the bright future of Fukushima. 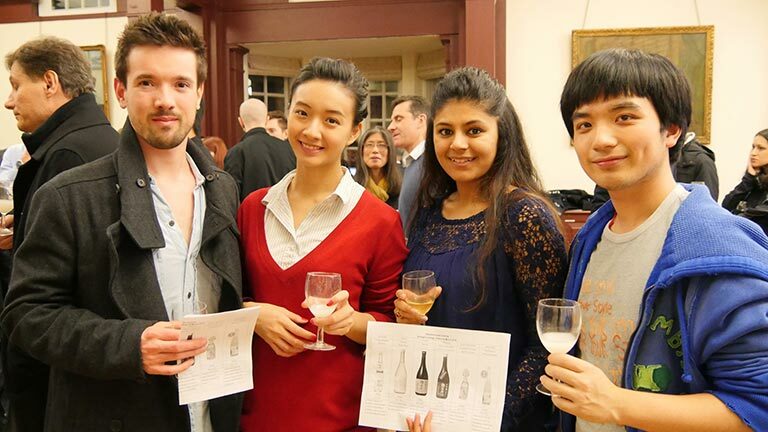 Our sincere thanks to Yoshitake & Associates and OUJS for hosting, and to Yamatogawa Sake Brewery for their support.